Six ways people will find your website in 2018 – and what they’ll expect. Direct — Visitors come directly to your site by entering your name or web address in the search bar. 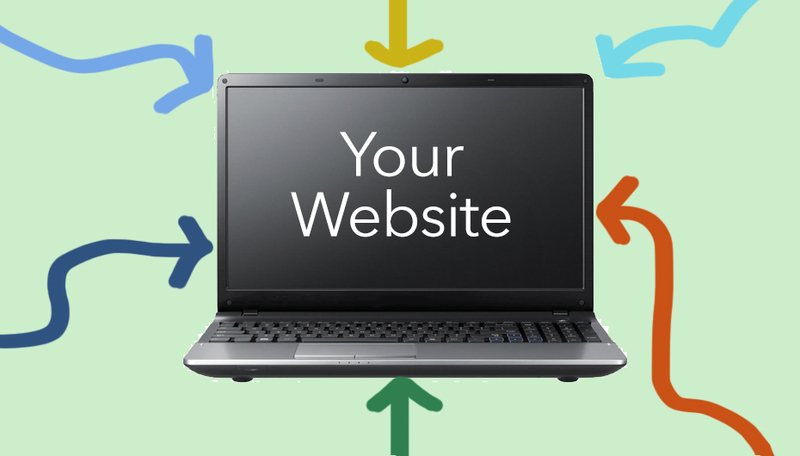 Google estimates that more than 40% of your website traffic is direct. Keep your business cards current; have them handy. Organic search — Someone Googles products or services you offer. Direct and organic search make up 82% of e-commerce traffic to websites. Source: SEMrush. Organic Search includes keywords, hidden in the code. But we review those hidden words with our clients. Paid Search — Sends 6.19% of e-commerce traffic to your website. Source SEMrush. Expect discount offers from Google and Bing. They want to increase their ad revenues. Instagram — In 2018, Instagram will overtake Facebook in the 12 to 24 year-old demographic. Winners: Top Instagram posters or “Influencers” who charge up to $100,000 for one post. Blogs — Critical here are keywords and fresh content. Responsive site — Customers expect to see your website open up full screen on every device from mobile to a personal computer. That’s called “responsive” and tells customers you understand today’s business world. Strong Content — Google says “Write for humans” and gives preference to sites with clear text and visuals that make you stand out from your competition.